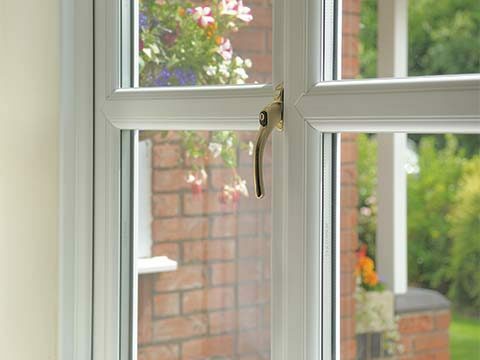 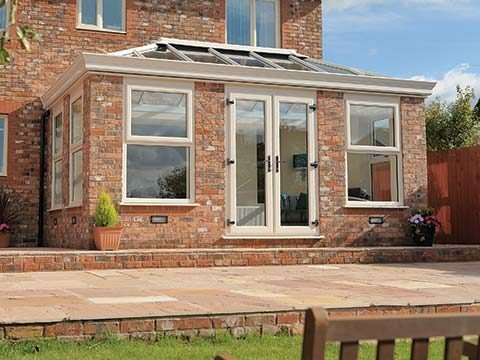 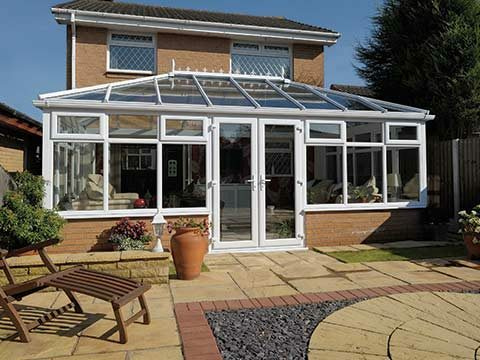 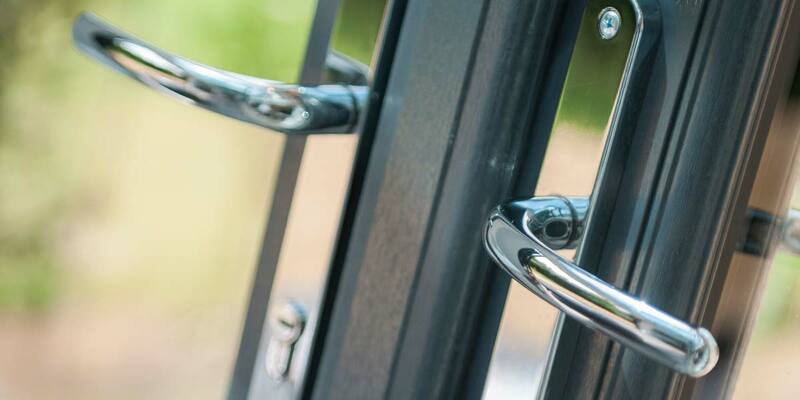 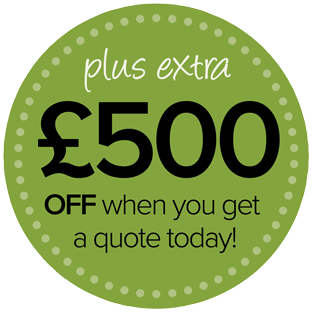 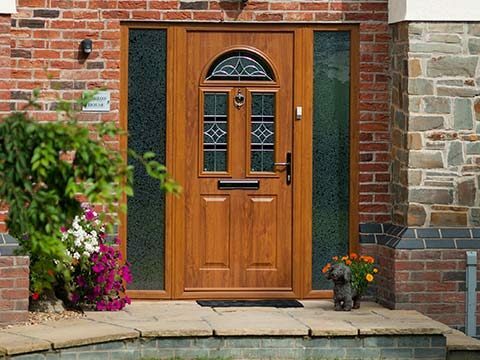 Gain a perfect mix of a brick built extension and conventional conservatory with the roomiest of orangeries and a perfect pair of integrated door solutions. 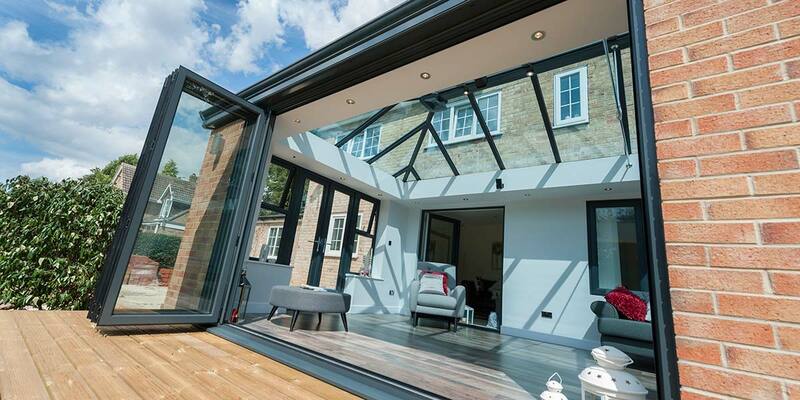 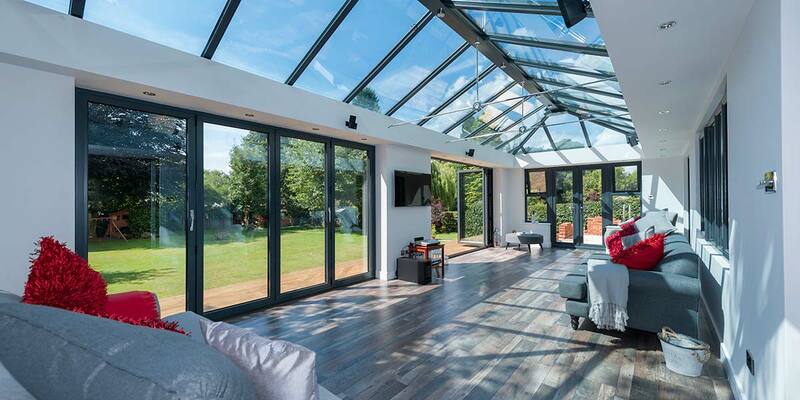 Some home extensions really stop you in your tracks and this orangery has had that exact effect on people who’ve visited this home since it was completed. 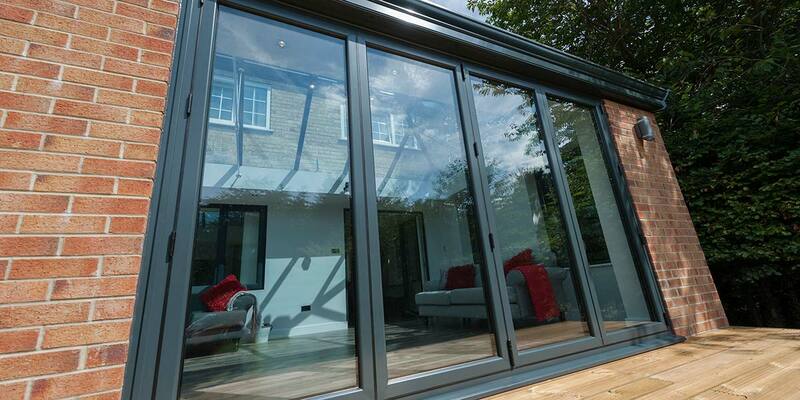 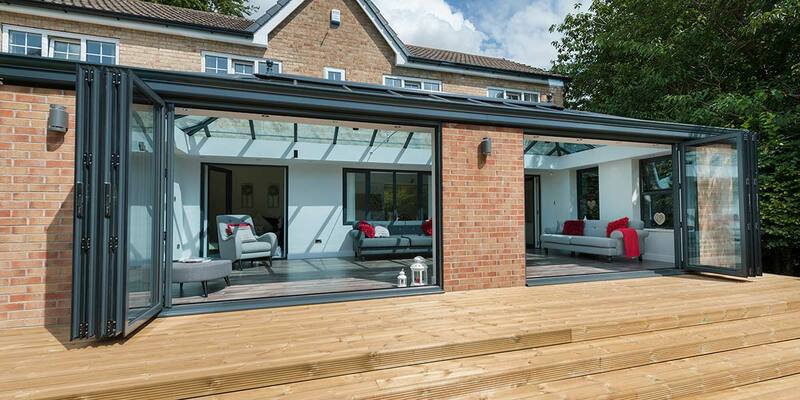 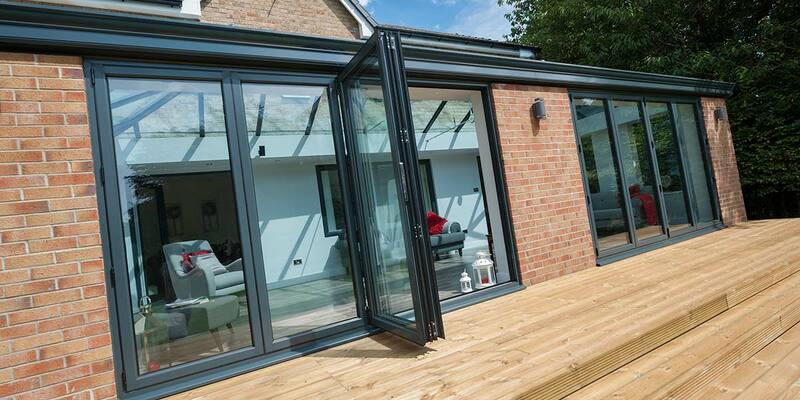 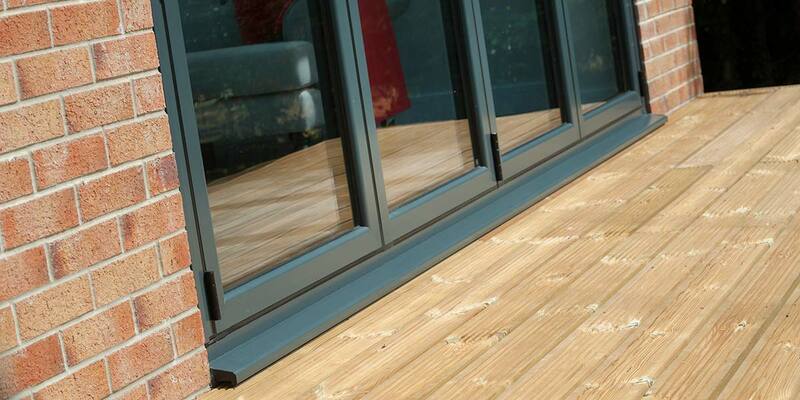 Its vast size enabled the integration of not one, but two 4-pane bi-folding doors. 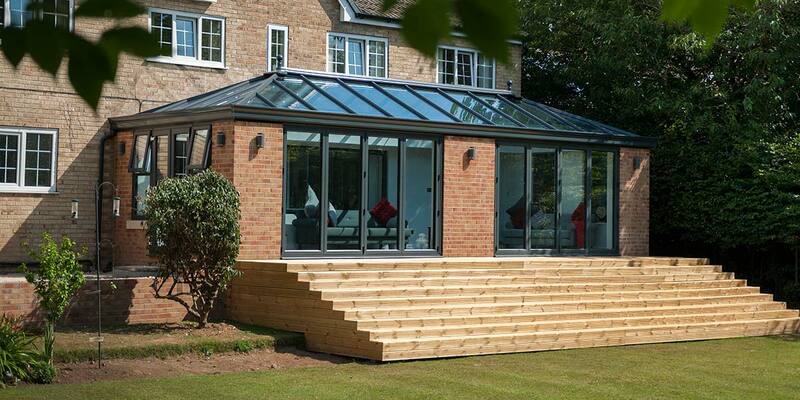 When they’re both fully folded to one side, they offer an enormous opening and enable the occupants to make the most stylish of exits onto the stair decking. 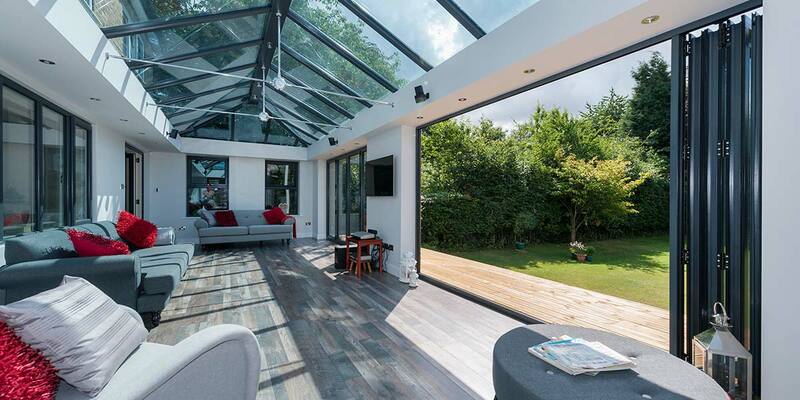 They also entice outdoor air into the space, perfect for the weather is at its best, with further ventilation achievable by opening the side windows. 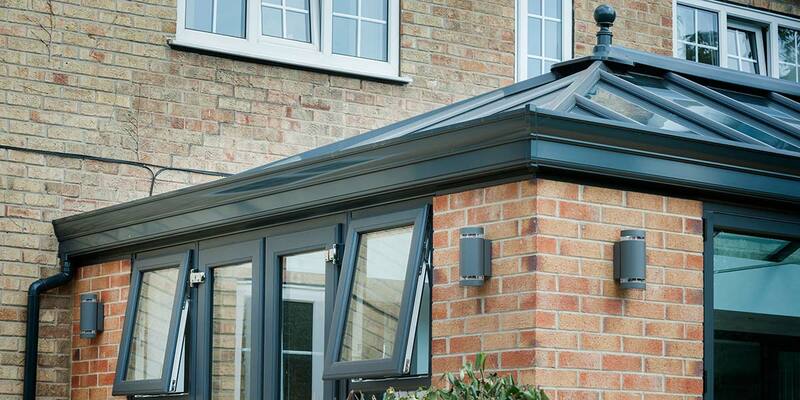 You simply have to mention the roof. 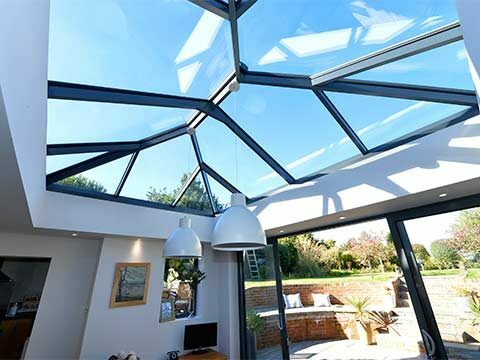 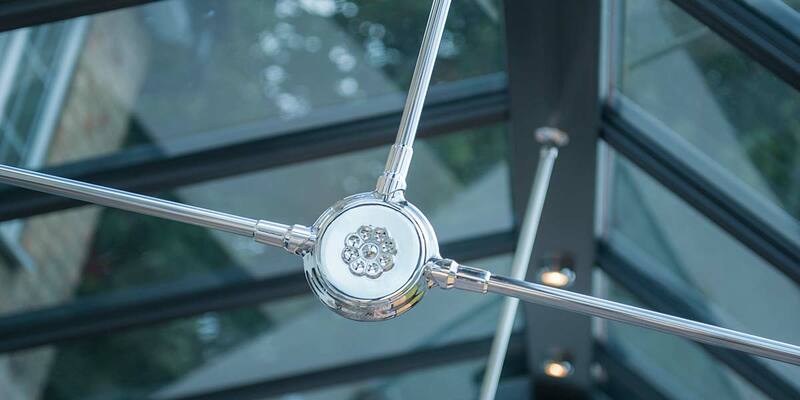 Very slender framework within the roof covering enabled a wealth of glass to be inserted into it and the full weight of it is suitably supported throughout. 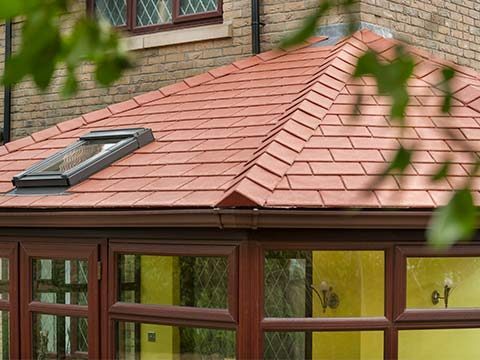 The very peak of the roof was also decorated to make it stand out even more so than it would have done without it. 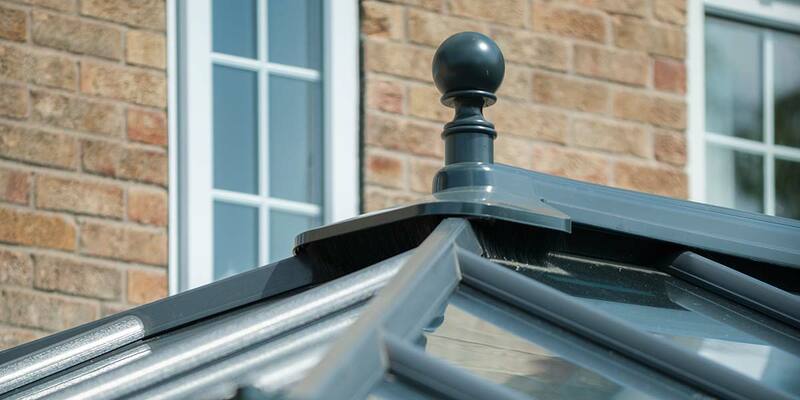 Because it is constructed from aluminium the design delivers enduring strength and resilience, plus it won’t need to be maintained. 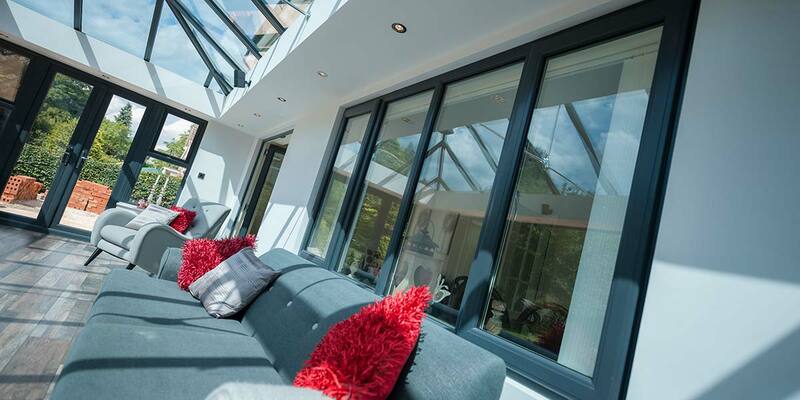 When you have an orangery that looks this glamorous you know that it will never fall out of fashion and continue to captivate yourself and visitors for years to come.